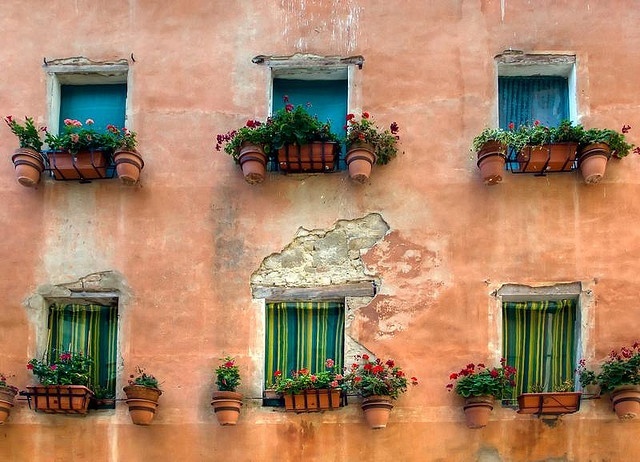 Are you about to buy a property in an Italian condominium? Any type of homes, including apartments in a building, townhouses or terraced houses can be a condo. And today there are always more housing units of this kind for sale in Italy, like brand new homes rising on the edge of the towns, but also ancient solutions in historic dwellings rising in the town centres that people recover and divide into housing units and so on. Generally speaking, nowadays condos have a great allure as they usually could be more affordable – it depends on the location and on the value of the property – than purchasing a detached farmhouse or a villa for instance. Anyway in this case there are some more things to check before proceeding to the purchase! 1. Be sure it is the solution that best suits your needs, as if you are accustomed to live in a detached house, maybe a condo could turn your life into a nightmare. Indeed if you’ve fallen in love with a property but you’re scared by possible disputes with neighbours, you don’t want to deal with condominium regulations, or the complex is to big for your standards, then think twice! 2. Ask about condo fees, namely periodic costs required for the maintenance of the common elements and services involving systems, lifts, stairways, hallways and outside grounds. But also if the condominium has a single central heating, electrical and/or lighting system which serves all the units. In this case remember that according to a recent reform, now you can decide to make it independent and split it from the other units. Moreover, you may be required to place some money as a fund in case of future expenses, such as the replacement of a roof, windows, landscaping, etc. Common fees are usually based on the size of your house, and on the floor it occupies. 3. Do you know if the previous owner has paid for possible extraordinary works of renovation, maintenance or innovation? Bear in mind that if such expenses have been approved before the notarial deed, then they are up to the the person that owned the house at the time they’ve been determined, even if they still haven’t been carried out. Anyway you would better specify it in the agreement! On the contrary you will be responsible, jointly with the previous owner, to settle all outstanding condo charges for the current and prior year in case he has not paid for them yet. 4. Hire an expert or at least pick up some further information about possible extraordinary works the building may require, since if its facades, roof, or structure have some important damages, in the future you’ll have to spend a rather large amount of money and this could be out of your budget. So be sure about that before run up against unpleasant surprises. 5. Take a look at the “Condominium regulations” that outlines all the particulars of the building and the specific unit you’re interested in, especially regarding those areas shared and used by all owners of the complex. In fact, sometimes it may happen that you buy an apartment including a private parking space, but then you discover that it actually does not belong exclusively to you but is in common with other people. So be careful! 6. Do you have a furry friend? Now the condominium regulation cannot forbid you from owning a pet! So if you have found a great condo unit that you’d like to buy as your Italian retreat, it’s far better to analyze and find out any possible problem before you buy it than to deal with it later as an owner.